We offer professional cleaning of natural and synthetic leather sofas which ensures protection against damage, further staining and spillages. Our technicians inspect the leather fabric first and then apply the necessary cleaning procedures. They can sanitise all kinds of leather fabrics using effective products for cleaning and moisturising. 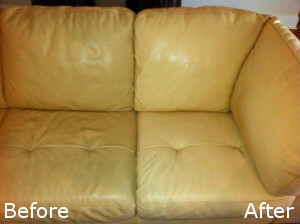 Natural leather need additional moisturising after being cleaned which our staff apply. Get in touch with our call centre to schedule the leather cleaning which we provide in Chiswick W4 to property owners of domestic and business estates. Our staff check the type of leather and apply suitable cleaning on each sofa depending on its material. Whether you have suede, aniline, nubuck, semi-aniline leather or pigmented finishes our cleaners can ensure their impeccable state. 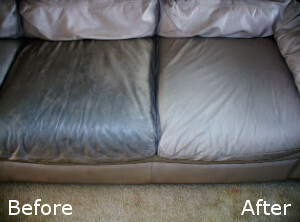 Natural leather sofas require cleaning with special preparations and applying moisturising agent afterwards. This way the leather is kept protected from tearing and flaking. Our cleaners take the excess moisture with microfibre cloths and leave the leather shiny and protected. Get in touch to book the professional leather cleaning which you need in or near W4 and we will provide it. Our staff use more conventional products for cleaning synthetic leather fabrics and apply a number of detergents by hand using a microfibre cloth. Synthetic leather doesn’t absorb that much spillages and stains compared to natural leather, which makes it easier for cleaning. Whenever you need effective and well sanitising of your natural or synthetic sofa sets, call us and our cleaners will do the work at the appointed day and time. The procedures for sanitising which we apply are chosen in accordance with the type of leather and guarantee excellent results. Schedule the leather cleaning which you need in your property located in or near Chiswick and our staff will do the work professionally and fast.